Just when you think the absurd war on cannabis is nearly over you come across a story like this. On March 28 The Shop By Stevie and The Moon, located in Trenton GA, was raided by agents from the Lookout Mountain Judicial Circuit Drug Task Force, the Dade County Sheriff’s Office and the Trenton Police Department. The owner, Steven Ellis, was arrested and charged with drug distribution and possession of a Schedule I substance. In addition, police seized most of their CBD products as well as all of the cash in the store. According to a statement on the L.M.J.C.D.T.F Facebook page (say that three times fast), local police had received several complaints from people who saw the hemp flower The Shop was selling and assumed that it must be illegal, so the drug task force says they sent undercover officers in to make a purchase. After doing so police say they tested the buds (which only sell for about $40 per quarter-ounce) and they “yielded positive results for marijuana”. What is not known, however, is if police only relied on a field test kit to make this determination, which would only be able to indicate the mere presence of THC, or if they sent the samples to the GBI crime lab and waited for the analysis to be complete before requesting a search warrant. The reason this is significant is because the law allows hemp to contain up to .3% THC, and the only way to be sure of the amount of THC is by way of an actual lab test. According to Joseph King, spokesperson for The Shop, law enforcement agents did not send any of the products off for official lab testing ahead of time. Instead King says agents used field test kits, which can only detect the presence of THC, before arresting Ellis. He said before leaving officers tossed the used field test kits into a bin they thought was a garbage can but they were later recovered and preserved by employees. “They have only been selling flower here since mid-February” Ellis said in a telephone interview, which makes it even less likely that officers used actual science to determine if The Shop was breaking the law or if they relied on their $2 field test kits, which are. NOTORIOUSLY. unreliable. If you search Google for “inaccurate drug field test kits” you will immediately see what I mean. Just ask Texas resident Ross LeBeau, who was arrested for possession of 252 grams of methamphetamine that later turned out to be cat litter when it was tested by the state crime lab. LeBeau was arrested after two field test kits both gave false-positive results. In addition to drug charges Ellis was also charged with probation violation which would (presumably) be predicated upon his actual violation of the law in the first place, which seems like a stretch for someone selling products that had received independent 3rd party lab testing before they ever came into his possession. There’s nothing new to see here, the drug war has been dragging on for at least 45 years now, but it is still a shock to the system for many of us to see someone taken down for what seems like such a trivial thing. Where is the mens reas (criminal mind) in someone that did his due diligence to ensure he was selling a legal product by way of purchasing only from vendors that provided legit lab reports? It’s legal to buy clothes made from hemp and rope made from hemp and even CBD oil made from hemp, but it’s not legal to buy hemp made from hemp? In a Facebook statement the Lookout Mountain Judicial Circuit Drug Task Force stated that CBD oil is legal to buy but not a “leafy-bud material that was packaged for resale to the public”? 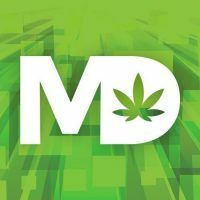 As a hot topic of CBD and medical THC oil are legal to consume and use in the State of Georgia, This is not case in this investigation, as leafy-bud material was package for resale to the public. L.M.J.C.D.T.F. urges anyone using or wanting to use CBD to please research the product before using to verify the actual product is legal. This is simply inaccurate. Hemp flower that contains less than .3% Δ⁹-tetrahydrocannabinol is perfectly legal for anyone to possess or sell, so the possession of “leafy-bud material” alone is irrelevant, it must also contain a certain quantity of THC to be considered illegal. The 2018 Farm Bill answered this question. Unfortunately proving yourself innocent isn’t cheap, so friends and family members of Stevie have established a GoFundMe campaign to help pay for his legal bills. Since police took most of their CBD products and all of their operating capital surviving will be difficult, but they plan to persevere and keep the shop open for as long as possible. If you have the means and desire please consider donating to their campaign. where is the hot-shot lawyer who wants the big prize in defeating the morons at DCSO? Please come help Stevie B! It even SAYS “Less than .3%” on the container! Donating, sharing, and praying.